‘Slow’ doesn’t start too well. General experimentation has it’s place but sometimes just seems pretty pointless. 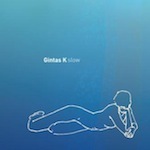 Luckily Lithuania’s Gintas K does start building on this come track two, ‘Zyrti’ as a more ambient piece; although this does have a tendency to meander off as well. I see where K is coming from, I genuinely do; unfortunately though it’s not entirely something I appreciate. Most tracks are built upon just random collections of sound and there must be a whole group of ‘artists’ out there (along with the now disgraced Hecker in my book) who needlessly produce reams upon reams of this sub art form. If random electronic bleeps and scratches and taps of sound are your thing, go knock yourself out to this. I have little to say about such minimalism, as it’s most certainly not music.